Beautiful full rosettes of large arrow shaped leaves are tender and very aromatic. 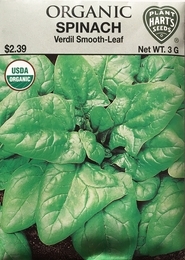 This is a 'giant winter-type' spinach, most suitable for fall planting or overwintering. 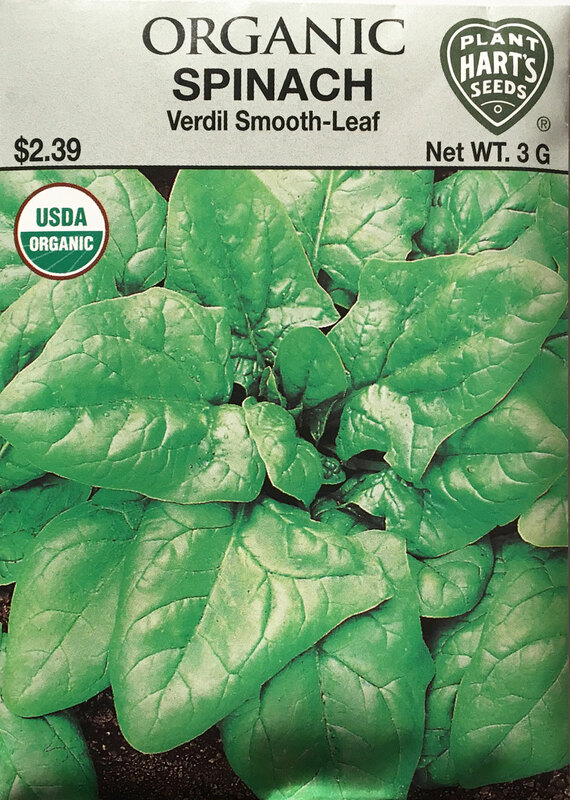 Spinach benefits from rich fertile soil which will produce large, high quality leaves. Verdil was bred by German non-profit biodynamic seed company Bingenheimer Kulturesaat. Planting time - early August- mid-September for harvest in early November or early spring once the soil has warmed to 50 degrees. Germinates in - 10-15 days depending on the soil and weather conditions. Thinning - to allow mature plants 6-8 inches in all directions.